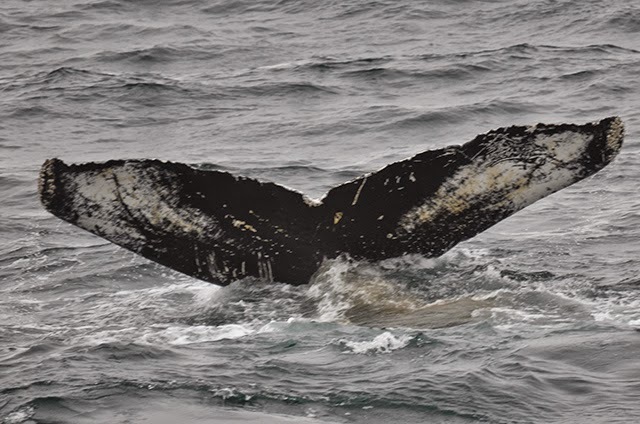 On our 10am whale watch aboard the Asteria, we set out for the northwest corner of Stellwagen Bank. Upon arrival, we spotted a few different spouts around various whale watching boats in the area but we continued down the western edge of the bank and came across humpback legend Scylla and her calf just north of midbank! Initially, the mom and calf pair swam side by side one another. As mom began subsurface feeding which was evident by the bright green bubbles surfacing next to her, the two separated by a few hundred yards. 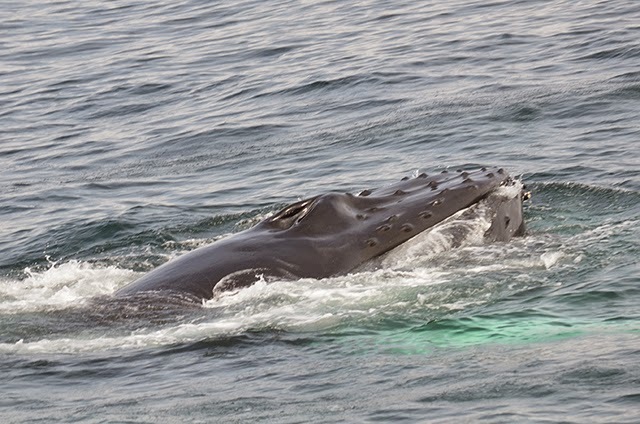 The young whale seemed subdued and was swimming slowly in random directions while mom fed. Eventually, the duo rejoined and began traveling northwest. After Scylla’s birth in 1981, she played an integral role in scientists’ understanding of sexual maturation in humpback whales. She was the very first humpback that scientists were able to monitor from the year of her birth to her first year of calving! At just 4 years old, Scylla brought her very own calf to Stellwagen Bank proving to scientists just how young female humpbacks become sexually mature. 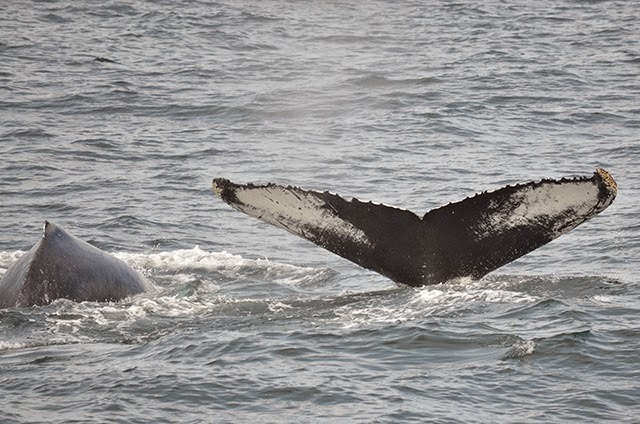 It was really exciting to see a whale that, in some ways, provided us with a cornerstone piece of information of what we know about humpback whales today! We’ve been having a huge amount of bird diversity out on the bank over the past week. Today we saw Sooty, Great and Cory’s Shearwaters in addition to Wilson’s Storm-Petrels. We even saw a Great Blue Heron traveling through the bank! 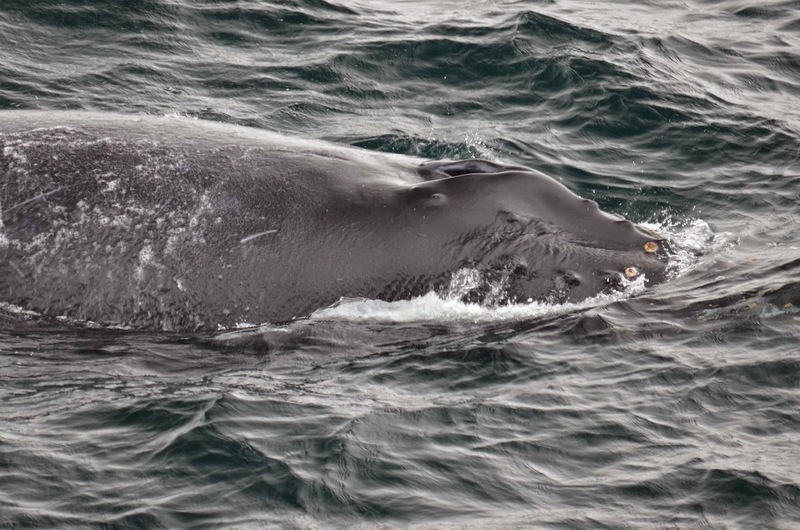 Today on board the Cetacea we headed out to Stellwagen bank in search of whales! It was a cloudy and choppy morning out on the water. 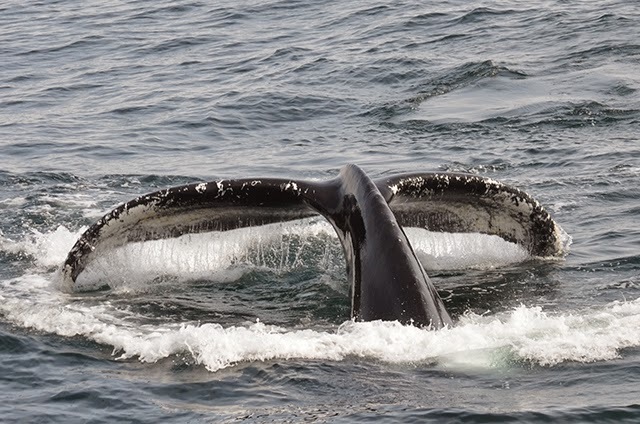 We were lucky to start off our trip with some very surprising humpback whale tail breaches! After this individual ducked down on a dive, it stayed down for a while and we weren’t able to keep track of it. Luckily, we spotted a blow about a mile away of a different individual. It turned out to be Hancock! Hancock treated passengers to her signature bubble-net style of feeding. A few times she even turned towards our boat to swim underneath us! We checked the fish-finder and there was definitely a lot to eat beneath us! On our way back to Boston, we spotted two more blows, but we didn’t have enough time to investigate. It was a great trip though! This afternoon it cleared up a bit, but it continued to be pretty choppy out on the water. 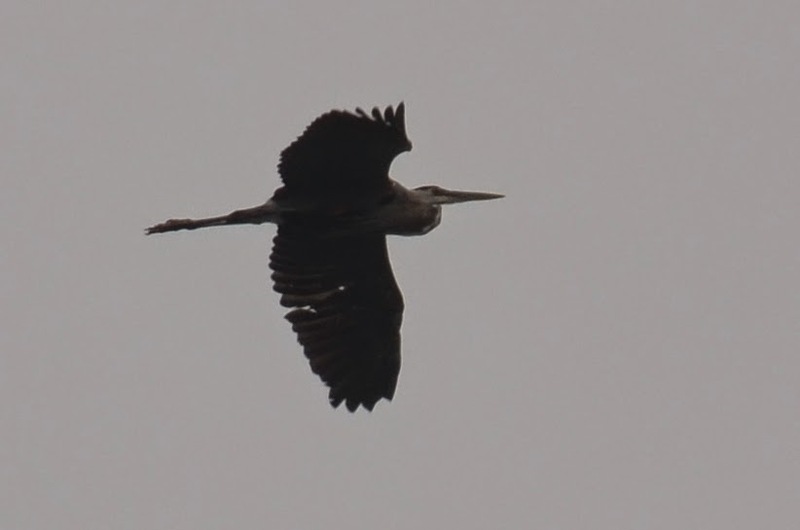 We had some great sightings though! We saw Scylla and her 2014 calf traveling together. 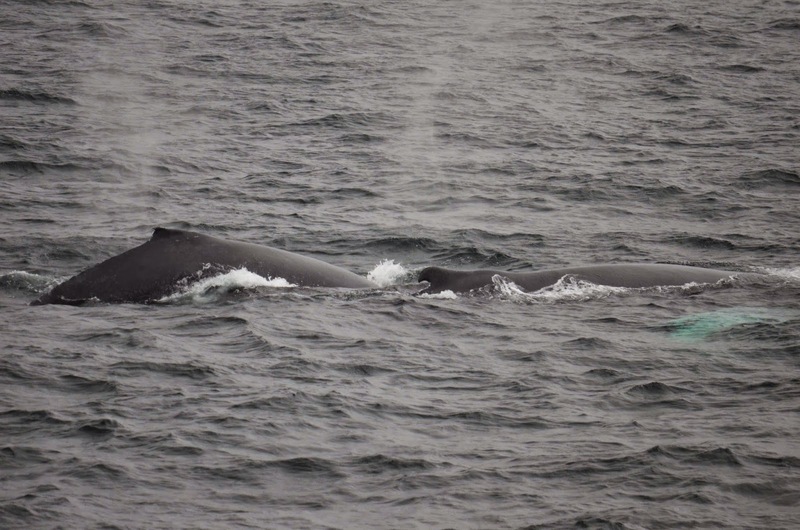 Passengers were very excited to see a mom and calf pair in the area! Later in the trip, we spent some time with Hancock once again. We had some great close looks at Hancock bubble-net feeding and lunging up to the surface with massive mouthfuls of fish and water! It was an awesome end to the day!